Which SD WAN solution is best for your business? Many network professionals today are finding themselves in the position of having to consider SD-WAN solutions for the next generation of their enterprise backbones. Did you know? 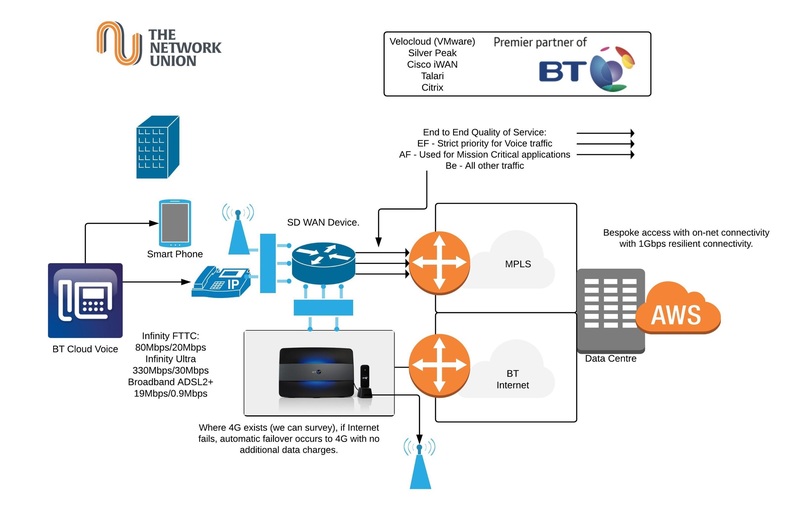 We offer a free 2 hour SD WAN workshop at any UK location.Quite often this leads to a number of challenges since, for many of us, this will be our first foray into SD WAN implementations. With a plethora of (very different) solutions on the market, you may find yourself with a load of questions about how to approach the selection process. If you've been in the network field for any time at all, this challenge isn't new for you. Every generation of backbone comes with new technologies, new hardware lines, and features. In fact, the only thing that stays constant in the world of technology is change. So you're already used to a changing landscape and evaluating new technologies, let's take a look at some key evaluation criteria for this particular technology that can help you find the right SD WAN solution for your business. 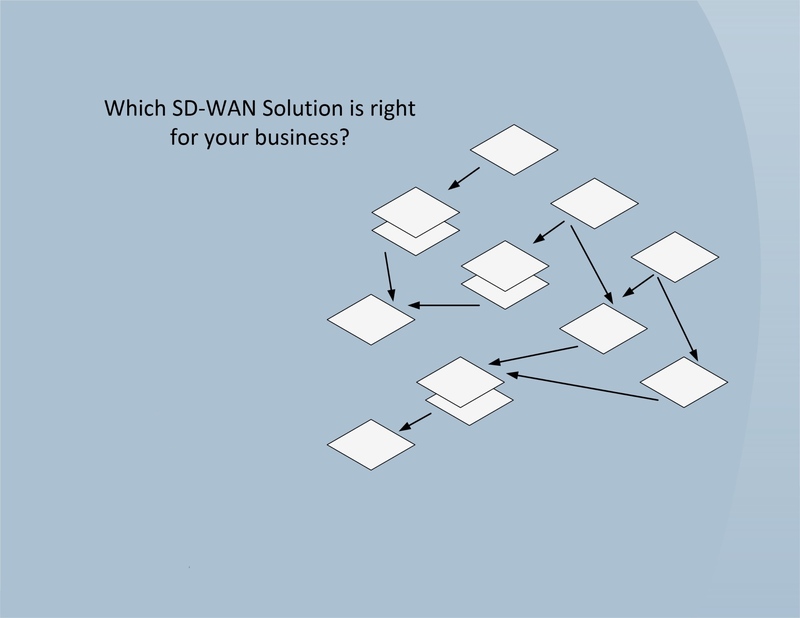 How to decide which SD WAN solution is a good fit? 1. Decide on a hybrid approach and which connectivity suits your needs including Internet and MPLS. 2. Define your user requirements to understand application performance. 3. What new business advantages do you believe will be provided by software WAN services? 4. Consider your own security and cloud strategy over the next three years. 5. If your business is buying into cost saving marketing, ensure you fully understand the implications. We've already discussed "What defines an SD WAN solution?" in previous postings. But you'll still need to decide "Which one is best for my enterprise?". This evaluation process isn't that much different from so many others you've done in your career, but because "SD WAN" can mean many things to many people (even the solutions providers), you are best served by formulating an approach that starts with your business needs and works backward from there. What I mean by that is, don't get too hung up at first on "what SD WAN solutions has feature A or feature B". First, work toward defining what your business (and particularly) your network (transport) needs are. Only after you have a clear set of requirements should you start to work through the different SD WAN solutions and their feature sets. This "needs first" approach can help you sharpen your focus when working through solutions and be more direct with your solutions providers about what will (and won't) work for your business. You might begin by asking yourself why you're in the position of evaluating these solutions to begin with. Are your backbone contracts just expiring? If this is the case, it's a good time to ask yourself what you need from your next backbone that the existing one didn't provide (and you've likely already done this). Write those things down and keep them close while you work through the rest of these items because those things will inform the rest of your thinking. If it's not driven primarily by contract expirations, then what are the business drivers that are pushing you in this direction? Go ahead and condense those drivers down to a few points and keep them close for the same reason. So let's get into it, what are your business needs? The first area I'd consider is your business transport needs. Clearly define how many offices or locations you need to connect and where they're at. Decide whether you want local Internet connectivity at each branch, or if you might prefer to backhaul it all to a corporate "hub" or datacenter for processing before it goes to the Internet. Define your applications that are latency and loss sensitive and determine just what the appropriate thresholds for those metrics might be. I'd also recommend discussing with your staff whether or not you're open to supporting transport technologies that haven't typically been considered "enterprise backbone" grade (i.e. cellular LTE). Once you've compiled a clear idea about what your transport needs are, you can consider your enterprise application/service needs. This one might seem a bit more imposing for some network professionals, simply because applications and systems aren't our primary focus. But if you're building the next generation of your company's backbone, it's a safe bet that you're building it, primarily, to support your enterprise applications. You need to try to understand the next 5-7 years of your company's vision for its systems and services. Are you moving to a "cloud first" architecture for your critical applications? Or maybe you're planning on keeping large or medium-sized datacenters around for a long time yet. Cloud computing, especially can shape the decision-making process when you're selecting an SD WAN solution. Some SD WAN solutions providers have close tie-ins with cloud providers and can provide better monitoring, troubleshooting and performance guarantees than others. Find out from your systems teams what cloud providers they need to be tied into and what levels of uptime/performance they need to make the company successful. Then let those needs inform your SD WAN selection process. Make sure that the solution you choose meets the company's needs today, and will scale to continue to meet them down the road. Another area worthy of consideration is the requirements of your remote workers (if you have them). Some companies have huge swarms of remote workers and have large farms of IPsec VPN concentrators to put those workers on the "corporate network" for virtually all of the work they do. Others prefer a blended approach using technologies like SSL VPN appliances and application accelerators to tunnel some traffic and leave other traffic alone. Still, others provide very little corporate connectivity for those workers and simply have them log into cloud applications from a standard web connection. Figure out your company's remote worker needs for the next 5-7 years. This can also inform your decision and become a point of distinction between your solution options. Industry reputation and corporate restraints are another piece of the puzzle, although it can sometimes be harder to pin down specific requirements here. I'll give you some examples of what I mean by these terms. I think most of us understand trying to define your needs for "industry reputation". This means determining how important it is to your company that your SD WAN solutions provider has been doing this for a long time. Nobody's been doing SD WAN for decades, so what other metrics are you willing to look at to determine the "industry reputation"? Obviously, if they've been providing other network solutions for years and have a good track record, maybe this satisfies the requirement for you. Perhaps you've got industry contemporaries you can go to for review or referrals about their experiences. Maybe you're an educational customer or a non-profit with a very limited budget and you've got a higher tolerance for a new entry into the field if the price is right. Just try to pin down your expectations early, so that you know you (and your management) have the same goals. "Corporate restraints" is a phrase that is less easily defined because it might be driven by any number of inside (or outside) forces. This might be whether or not your company (or CIO) has a great affinity for one network vendor over another. More likely it'll be something like outside regulatory requirements. For instance, an industry that is defense or military-related may have strict regulations about what vendors they can buy from or work with (related to unfriendly countries or encryption controls). If you have corporate or regulatory requirements that will have an impact on your decision-making process, try to define these early and let them inform your process. Once you've outlined this framework of your enterprise "needs", you can get to work evaluating SD WAN solutions. This framework can help you direct your salespeople so that you only see the demos and marketing materials you NEED to see (and avoid wasting time). It can also help you eliminate some solutions out of hand so that you don't need to spend time evaluating a solution that you know is a non-starter (for instance the one that violates regulatory restrictions outside of your control). I think you'll find what I said at the beginning was true, even though SD WAN is a fairly new technology, but the selection process isn't all that different from what you've been doing your whole career. 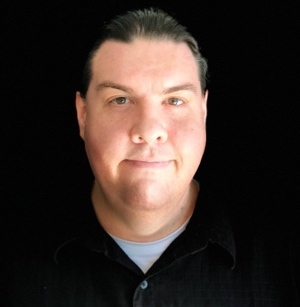 I hope the tips above give you some things to think about and get you started on the road to a successful SD WAN implementation. Now, go forth and build! And good luck to you.